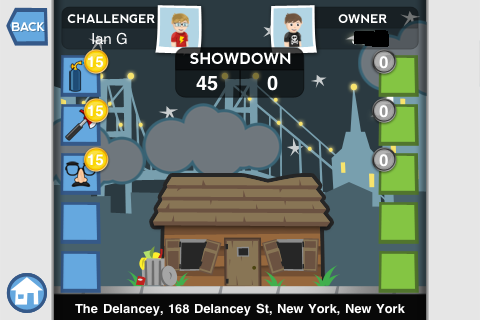 While roaming the Indie Alley at PAX East, I came across developers, The Tap Lab and their new iOS4 game, Tap City. 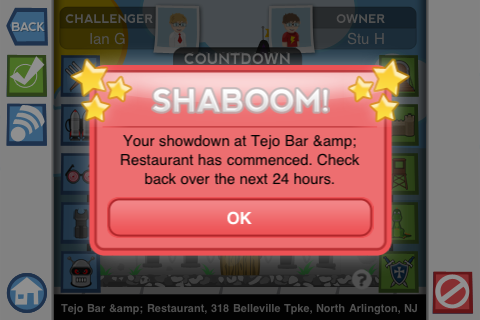 The game takes the premise of “checking in” ala Foursquare and levels the concept up. Using Google Maps as its GPS, Tap City seeks out local restaurants, bars and lounges for a player to check in at. What makes the game novel is the ability to actually buy that property in the game. While Internet was spotty inside the convention center, I did toy around with the game once I got home. Then the fun began. I wound up buying my local diner, the bar down the street (the one I never go to), a Chinese restaurant and a wings place. Cool. The only thing that kind of bummed me out was the lack of players in the game. So, I started building my properties up and got a feel for the game’s mechanics. I leveled the properties up to shops, put some fences and shrubbery around and even installed some spotlights. It’s a pretty fun game. Yessiree, my properties were looking mighty fine! I dug around the game a bit and found out I could level up, so I did. 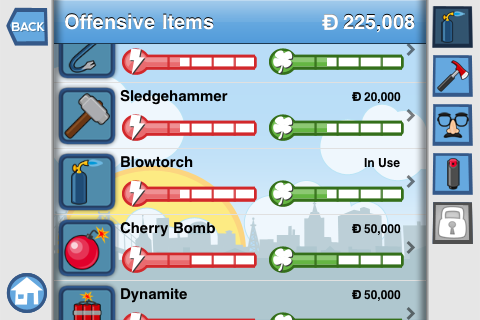 I also bought a slew of offensive weapons in anticipation of raiding some poor soul’s property. Over the next month, I toyed around with the game, buying and selling properties, building defenses for them and upping my offensive arsenal. I wound up buyng some very desirable locations (Taqueria in Jersey City and The Bell House in Gowanus are my personal favorites). It was fun to play, but truth be told I was getting a little bored. Last Saturday, I went to The Library in the LES for a friend’s birthday. I checked in at the location and discovered that there was a player in the neighborhood. He owned a property I wanted too, The Delancey. Suddenly, my interest was renewed. Between my blowtorch, my hatchet and my clever disguise kit, I took The Delancey like Sherman took Atlanta. I then rebuilt it. It is no longer a lowly shack, but a cafe. After this battle, I longed for more. Whenever I roamed the streets of New York City, I’d check to see if someone else was playing the game. I had a bloodlust that could only be satiated by the acquisition of digital property. Since then, I’ve gotten a few more properties (including one of my favorite NYC spots, McSorley’s Old Ale House). Unwinnable’s Editor In Chief, Stu Horvath, joined the game and took one of my properties. I saw the burning red light of revenge. Unfortunately for me, Stu fortified his property pretty damn well and I lost. So, I took another one of his properties, one less guarded. I have a feeling I won’t be getting many plum assignments anytime soon. Tap City‘s interface is very intuitive. The game’s developers, The Tap Lab, also just released an update that includes even more properties in your local area. 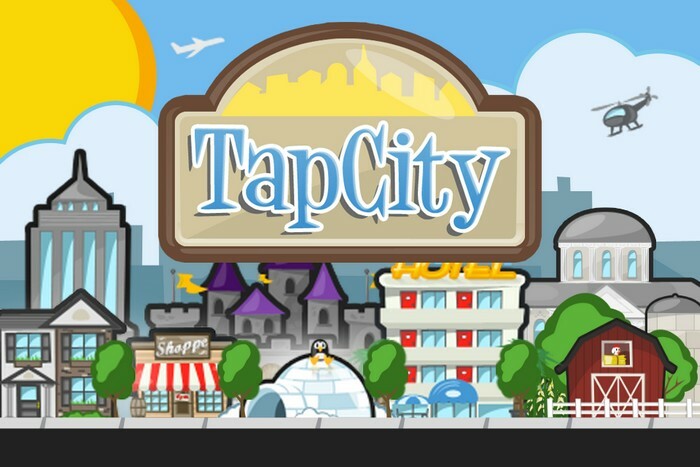 Tap City is a fun experience and my only real complaint is the lack of players in the game. It’s a free download in the App Store and the more players there are, the more fun the game will get. So, what do you have to lose? Check it out! Want to be friends with Ian in Tap City? Hit him up on Twitter via @iangonzales.